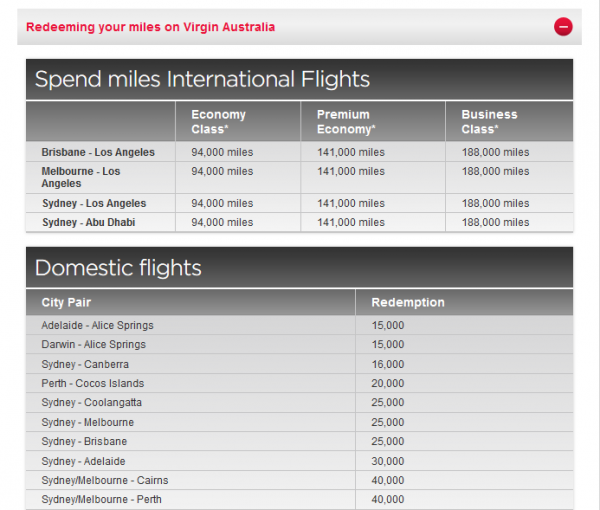 Virgin Australia eliminated fuel surcharges. Gone, bye-bye! Um, guess where we can put those Virgin Atlantic miles to great use! Qantas reduced their fuel surcharges as well. They’re not gone, but they are a little lower. partners with Cathay Pacific, Delta, Fiji Airways, Korean and Qantas for award travel down under. The main caveat to AS award program is that you can’t combine partners on a single award ticket, so you may have to position using another program (likely Southwest or Avios, or paid tickets) to the airport served by the Alaska partner you’re flying on. Hong Kong if you fly Cathay Pacific. Fiji if you fly Fiji Airways. Seoul if you fly Korean. Alaska awards involving Korean must be round trip, and have black-out dates. Sydney, Brisbane or Melbourne en route to elsewhere in Australia or New Zealand, if you fly Qantas. Some of the stopover possibilities, and you don’t have to leave from the West Coast! None of these award tickets have surcharges when booked with Alaska miles. Award tickets are 40K – 42.5K Alaska miles each way in coach, 55K-62.5K in business and 65K-80K in first class. Another interesting possibility is 27.5K each way on Fiji Airways coach from Hawaii to Australia or New Zealand. Realistically, 2 business class seats are often available on Fiji Airways, and the best chance for family travel in business class is on Cathay Pacific. Coach seats are widely available on pretty much all of these routes. partners with Cathay Pacific, Fiji Airways, Japan Airlines, Hawaiian, Qantas. Stopovers are not allowed except on Cathay Pacific and Japan, where you must book two award tickets to get to Australia anyway. I guess the same is true of Etihad if you want a Middle East or India stopover and the looong way around! On Fiji, Hawaiian and Qantas, award tickets are 35K AA miles each way in coach, 62.5K in business class and 72.5K in first class. Availability on Fiji and Qantas is the same as when using Alaska miles: there’s lots of it in coach, some on Fiji business class and very little on Qantas business and first class. Qantas business class seats do occasionally open up, but they are rare and don’t seem to follow any pattern. Availability on Hawaiian varies widely and unpredictably. You can watch for it (as well as Qantas) on aa.com. Hawaiian has reclining business class seats, not lie-flat beds. If anything Qantas business and first class availability will get worse, as redemptions for Qantas own members have gone down in price. Qantas members also have about 3 weeks to book between when their booking window opens 350 days out and when AA’s booking window opens 331 days out. Booking multiple awards via Africa, Asia or the Middle East would cost 55K -80K each way in coach for most possible routings, with the least expensive one being U.S.-North Asia for 25K (off peak) and North Asia-Oceania for 30K miles. These are not a great deal unless you want a stopover, but parts of AA’s chart may be worth looking at if you’re putting together an extended trip. Or if you just have to fly in Etihad’s residence class suite if it’s the last thing you do. only practical partner for travel from the U.S. to Australia or New Zealand is Qantas. The good news: the booking window opens earlier than AA’s, so you may be able to grab some of the few business class seats that do open up. In fact, that can be used as a trick to secure flights that you can later cancel and instantly grab with AA miles. Since Qantas has changed their fuel surcharges, any searches for Qantas seats on BA’s site do not give the price and give an error message saying you must call to book. I priced out one of the few available Qantas business class seats from the U.S. to Australia (HNL-SYD on 12/4/15), and BA quoted $347 in surcharges, one way. After British Airways recent price increase for premium cabin longhaul awards, LAX-SYD is now 50K Avios in coach, 150K in business or 200K in first class. Each way. Plus surcharges. Ouch! has excellent award availability from partner gateways to Australia on Virgin Australia with no surcharges, and good availability on Korean Airlines with surcharges of around $30 each way. Delta award seats within the U.S. tend to be lacking, so you may have to position like we plan to do in November. As I reported in this post there are 9 or more business class seats available on most dates on Virgin Australia if you book 5 or less at a time. On Virgin Australia and Korean, award tickets are 50K Delta miles each way in coach or 80K in business class. On Delta’s own LAX-SYD flight? Never mind. Most dates are 175K miles in business class each way. Korean flies nonstop to Seoul from Atlanta, Chicago, Dallas, Houston, Las Vegas, New York, San Francisco, Seattle, Toronto and Vancouver as well as Los Angeles, so the total flying time may not be that much longer on KE if you can eliminate domestic flight(s) to LAX. often has more available seats via Asia than what shows up on a search from your home airport to Australia, for a couple of reasons. One, united.com is broken. Second, Singapore flights aren’t displayed. So I like to use Air Canada and ANA websites, as well as searching United for segments. There is a ridiculously large number of possible combinations of United, ANA, Air Canada, Air China, Asiana, Thai, EVA, Singapore and Air New Zealand flights, and no booking engine is going to come up with all of them! If you have United status, you may see some business class availability on United’s flights to Sydney and Melbourne at 70K miles per person. Without it, I usually only see coach seats, widely available at 40K. Air Canada’s Vancouver-Sydney route sometimes has business class seats, at 80K United miles per person. Partner business class routings via Asia are also 80K each way in business class or 40K in coach. You can actually save United miles by adding a stopover in Oceania on your way to or from Australia. Just be aware that complex routings will give United.com a headache and you’ll have to call in to get the job done. And know that any trip that involves more than one connection each way might be a complex routing at united.com. Virgin Australia flights can be searched again at delta.com, and availability remains excellent. Virgin America’s co-branded cards have lackluster signup bonuses. However, now that VA surcharges have been dropped these points requirements can make for an amazing deal. Even better, you could mix and match with Virgin Atlantic and Delta to get multiple seats on the same flights. Round trip pricing shown, one-way can be booked for half of the round trip price. (Thanks to forum member AIM for helping me find this chart!) Coach awards are 47K miles each way, with premium economy at 70.5K. While Virgin Atlantic does not give us the best the best price in miles, they are probably the easiest miles to get. And again this gives the option to get the whole family all on one flight, in one class, without having to earn half a million or more miles in one program! We’re excited to see the news of consumers pushing back against nonsensical scammy ‘fuel’ surcharges, and excited to have more potential ways to make Australia and New Zealand award travel possible and comfortable. I didn’t have time or room to include every program, but if I missed a good viable option for family travel to down under please let me know so I can add it! Disclosure: The credit card linked to in this post is a waste of time for us but might be very useful if Virgin America does drop the non-existent VA surcharges. Please don’t apply for it unless it perfectly fits your family’s needs. awesome resource Kenny. I’m halfway to my Skypesos goal to get our family of 4 Down Under. A few more months and I should have enough. 2016 may be our yr to finally take this trip. Nice summary. BTW, I believe Fiji has angled flat business class now. Virgin Atlantic is a decent award if you can take advantage of Amex transfer bonuses (like the recent 35% bonus = 26% reduction in MR points needed to transfer, so that 188K Virgin would only require 140K MRs = a reasonably competitive award). With oil at $50, it’s simply absurd that there are any remaining “fuel surcharges”. I’m surprised there hasn’t been be Class Action lawsuits by the dozen about these phony charges. So – I just finished off a round the world trip thanks to this post. Thanks so much for your expert guidance here. You are an expert and a gentleman, and I can’t wait to buy you a drink in Charlotte! Thanks, Trevor sounds like a lot of fun! I look forward to seeing you there again! Any suggestions going from Europe (FRA) to NZ or Australia? Focused on DL, UA and AA points. None of the options are perfect. DL is 90K in business class, with $100-$400 in surcharges. UA has lots of available dates but it’s 85K from Europe or 60K from the Middle East in business. AA is 60K in business on Etihad, Qatar or Cathay, IF those are valid routings as the should be. Alternately if you can find a low cost or Avios flight to Jordan or elsewhere in the Middle East, it’s just 45K from there to Australia. If you happen to be flush with AA miles, I’d focus there. 2016 is indeed our year! My husband and my sister and I managed to find the VA business tickets for 117,500 routing as ATL to LAX to SYD to AKL. The only coach segment is SYD to AKL. We even got the Business Elite on ATL to LAX! Thanks to Delta and Am Ex points. Our return is more adventurous. My sister bought an M class coach ticket on Delta because she only had 2000 points left. The ticket cost $1,350 approximately. She then bought 24,000 Delta points for about $900 and upgraded to business. Far less than the $7,000 ticket price! My husband and I are returning via Asiana through Seoul. SYD to ICN to JFK. Then transferring to EWR to ATL in coach. This is giving us the awesome opportunity to fly on their new A380 double deck plane in business. We got this for 80,000 Unite points each though transfers of Ultimate Rewards and Marriott Rewards points. I bought the 300,000 Marriott owner travel package giving us 5 nights at the Sydney Marriott Harbour Hotel and 142,000 United miles. We got the 10,000 bonus points offer that expires 6/30/15. Next post: Delta and American award pricing: Why does AA get off scot-free? Previous post: Wide-open award space to Europe, including summer business class seats!